Fighting isn’t something that many people gravitate to but for Idris Perry, it’s always been a natural fit. The twenty-three-year-old lightweight is 3-0 as an amateur with two finishes. All of his fights have been under the KnockOut Promotions banner, including his last one on April 21, at KOP 61. The Battle Creek, Michigan native defeated Dominic Billingsley in the second round by KO/TKO. Though MMA is now his dream, Perry didn’t drift towards the cage initially, the first area of combat Perry loved involved a ring and as he learned early on, wasn’t real. The career change didn’t come until much later when he graduated from high school, but his fighting career started long before that. Naturally, it started with his twin brother before evolving into something much more. Soon the word spread that the Perry brothers could fight, it didn’t take long for others to try and test their skills and developed a reputation because of it. i cant say thank you enough for the push i get from my surroundings. I will do my best to exploit what we stand for as a team. love you guys. also a big thank you to those who come to support me and sincerely want to see my successful. if i had to tagg you all i’d get no sleep😅 thank you! The Perrys were picked on because they weren’t as well off as other kids and happened to be smaller as well. The bullying didn’t stop when they went to high school. Upperclassmen began to pick on them and they continued to do as their dad taught them and fought back. Though they suffered the consequences. They were sent to the alternative school in their neighborhood. The brothers set a goal to make it back to their high school and they worked hard, acted respectfully and got their grades up so they made it back. But while at the alternative school, Perry met the Battle Creek Central High School wrestling coach. The coach heard of him because of his antics but before that because of his father. The wrestling coach antagonized Perry saying he was scared of wrestlers and wouldn’t join the team. The athletic director also happened to be a former wrestler and decided to give them a chance on the team. The brothers came back and everyone thought they met two different people. He wrestled his for the rest of his high school career and he said he learned a lot, through his wins and losses. He learned, it’s up to him to make himself a success. And he’s thankful for his mistakes. Perry kept on learning after he finished his wrestling career by coming back as a coach. He kept learning and learning from a new perspective. He did go for a short time to a community college and is considering going back to school where he would wrestle as well at Trine University. He also learned from his father, his father was always supportive of him, telling him and his siblings that they were the best. While training multiple times per day six to seven days a week, he still has to work a full-time job doing manual labor. Manual labor isn’t easy no matter what it is, but in Perry’s case, it isn’t the safest job but it provides him with plenty of motivation to become successful in his career. This isn’t his first manual labor job. In fact, after he first started training in 2015, Perry had to take time up to keep up with his job. Perry was working over 12 hours a day and every day he hoped to make it to a class to train but wasn’t able to. He hated the job and because of the seasonality he was out of work around Thanksgiving that year. But it was a sense of relief when it happened, because he could train again. Perry began training again and was looking for a fight soon after. He told those who would listen and they would nod but he later found out they didn’t think it would be a good idea. And now he agrees with them, lucky for him, he became sick and unable to compete. Afterwards he continued to train and was recommended for a smoker at the gym and that ended up cancelled. 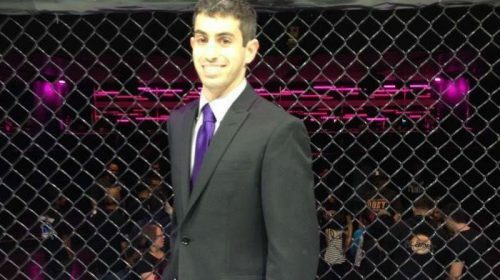 After not being able to fight, a teammate of his and MMA manager (his current manager as well) Liam DeMond of Cage Side Management offered to help him out. It didn’t take long after to get a fight, he was given a shot at KOP 58 where he won by KO/TKO in the first round against Matt Meyers. In addition to becoming a fighter that everyone talks about, Perry has another goal, to become part of the first pair of twins to fight in the UFC. 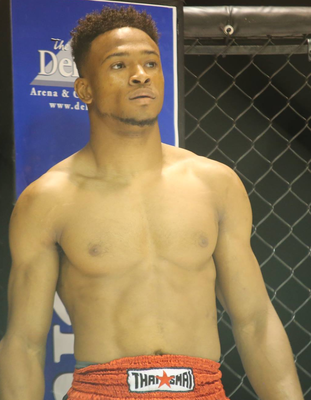 His brother Abasi Perry is also a fighter but in a smaller weight class. The brothers push each other but would never fight in the cage, after all they’ve fought enough at home already. 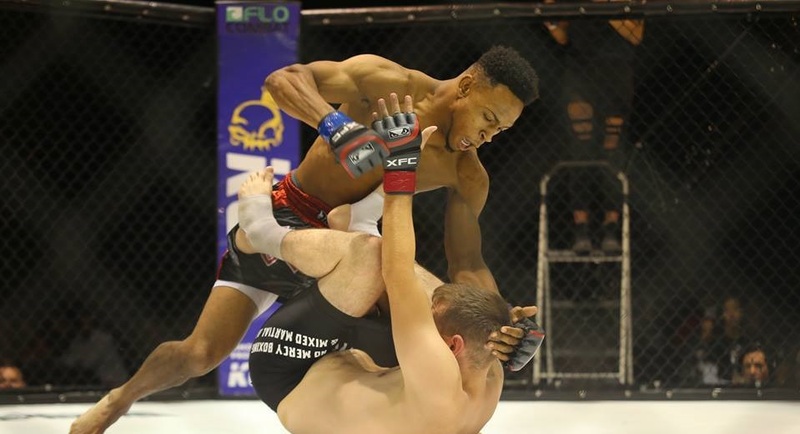 The UFC is still awhile away for Perry since he is still an amateur and unsure of whether he will pursue college wrestling or turning pro in the near future, he is still confident he can compete at the highest level. But for him, it’s more than fighting, it’s about being an example.